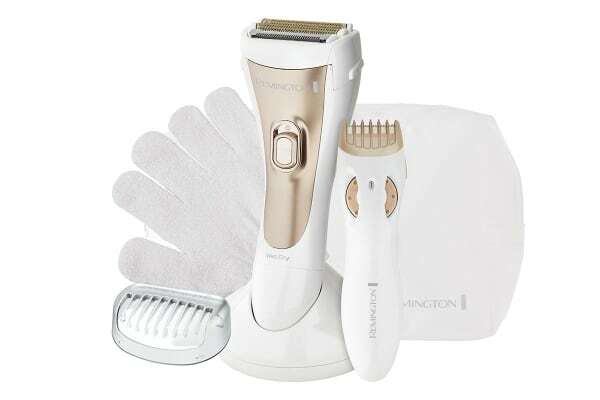 The Remington Smooth & Silky Ultimate Shave & Trim provides smooth shaving results! Featuring a soothing aloe vera moisturising and massaging strip, you can experience extra comfort while shaving and help reduce irritation. 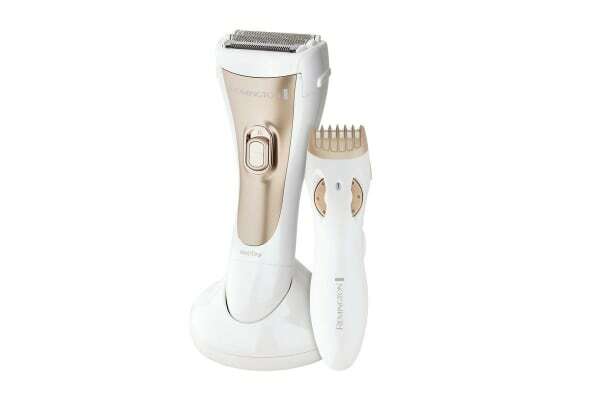 The dual sided flexible trimmer ensures no hairs are missed, lifting and trimming flat laying hairs from both directions. It also features dual flexing foils for extra comfort and removable comb for close to skin trimming. The long lasting cordless operation means you have up to 30 minutes of cordless run-time for added convenience and it needs 16 hours to get completely charged. It is also 100% waterproof for an easy and comfortable shave in the bath or shower. 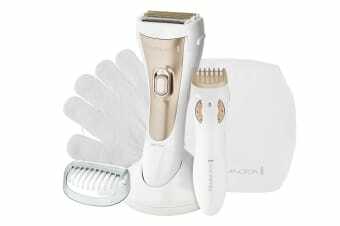 The Remington Smooth & Silky Ultimate Shave & Trim also includes a bikini trimmer for all your precision bikini grooming and trimming needs. Plus the Titanium coated hypoallergenic foils help reduce skin irritation while shaving. The washable heads make cleaning easy and effortless. It also comes with a storage bag to hold and carry the items easily.